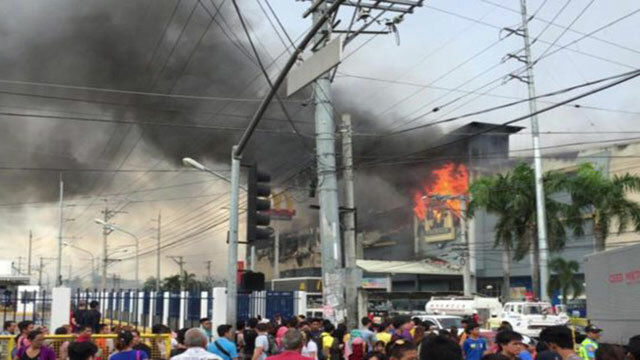 Manila, Dec 24 (Just news): Fire swept through a shopping mall in the Philippines killing at least 37 people, most of them workers at a call centre, city government officials said on Sunday. The vice-mayor of the southern city of Davao, Paolo Duterte, said the chance of survival for any of the 37 people missing at the NCC Mall was "zero". "Let us pray for them," said Duterte, the eldest son of President Rodrigo Duterte. The fire broke out on Saturday at a furniture store on the mall's third level and quickly engulfed an outsourcing business on the upper floor, said a spokesperson for the city government, Ma. Teresita Gaspan. The cause was not known but an investigation was being launched, she said. President Duterte and his daughter, Sara Duterte, who is mayor of the city, visited the scene late on Saturday to meet anxious relatives of the missing and survivors. Six people were rescued and taken to hospital.